It’s easy to find the perfect luxury sedan or SUV here at Jaguar Colorado Springs in southern Colorado’s Motor City. We specialize in having a variety of vehicles to fit many budgets and needs. Whether you’re looking at new or Certified PreOwned, we promise to help you to the best of our abilities in finding what you want and need. We are proud to offer the Approved Certified Pre-Owned Program because each Jaguar vehicle that is a part of this program includes benefits such as up to 7 years/100,000 mile transferable limited warranty with no warranty deductible, 24-hour roadside assistance, 165 multi-point inspection, vehicle history report, and road test. We have CPO vehicles in our inventory, including this 2018 Jaguar F-PACE SUV. With a retail price of $55,400, our Red Noland Price makes it $46,489 – which is an amazing price for a SUV that has only 3500 miles on it! This luxury SUV is equipped with a 2.0L turbocharged engine and paired with an 8-speed automatic transmission that will get you an estimated 22 MPG city/27 MPG highway fuel economy. Some of the other features you can look forward to enjoying include navigation, heated front and rear seats, Meridian 380W Sound System, SiriusXM satellite radio, LuxTec seat trim, tow hitch, rearview camera, and so many more! 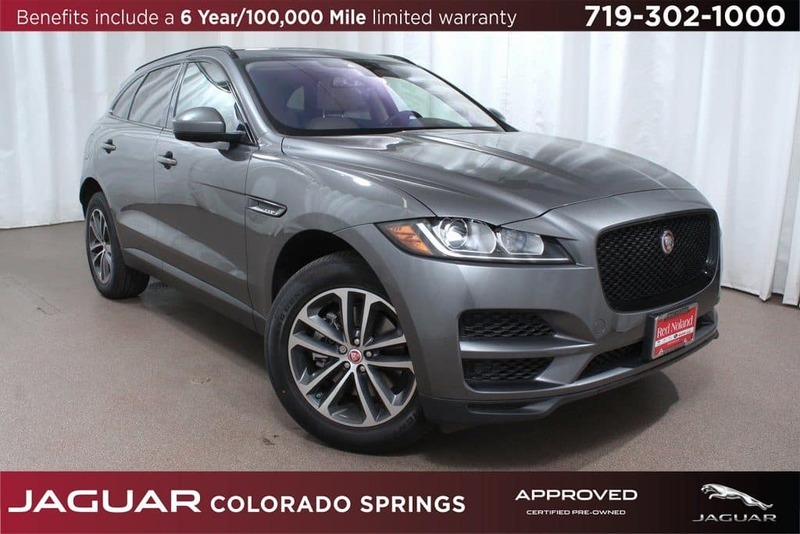 If you are interested in viewing this 2018 Jaguar F-PACE SUV, stop into our dealership to take a look or give us a call to set up a test drive today!